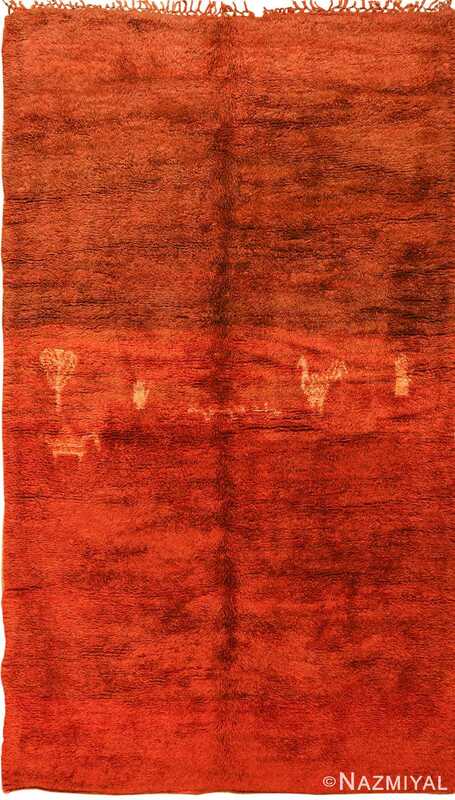 Beautiful Mid Century Vintage Shag Moroccan Beni Ourain Rug, Country of Origin: Morocco, Circa date: Middle Part Of The 20th Century — From an artistic point of view this is a vintage Moroccan rug like no other. 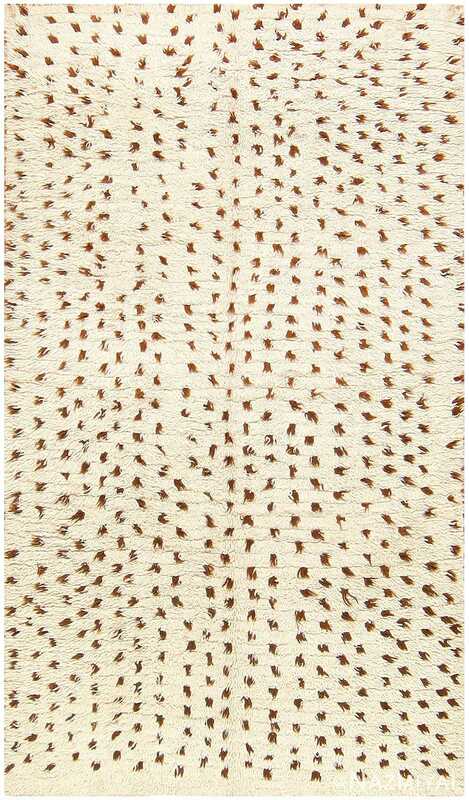 Natural brown wool spots are woven in a pattern throughout, splashing against the creamy background of this beautiful Beni Ourain rug. The lines of weaving create depth and texture. 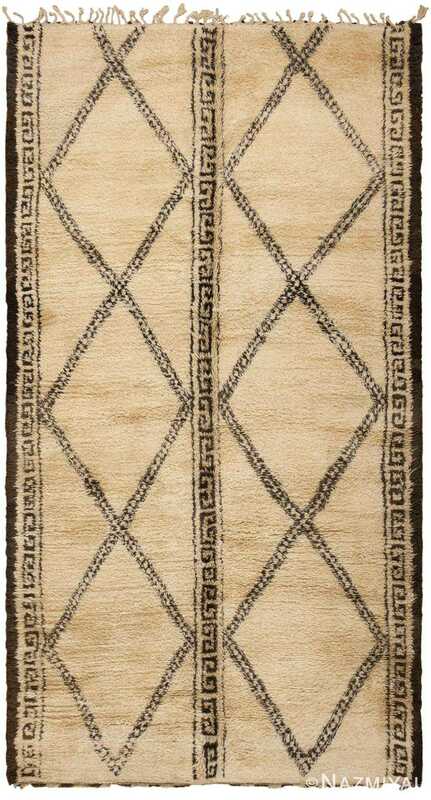 The pattern of this beautiful folk art Moroccan shag rug invents a second layer of texture, adding profound detail. The color is strategically woven throughout the shag pile Moroccan Beni Ourain vintage rug making each piece of the pattern work together as a spectacular unified work of art. 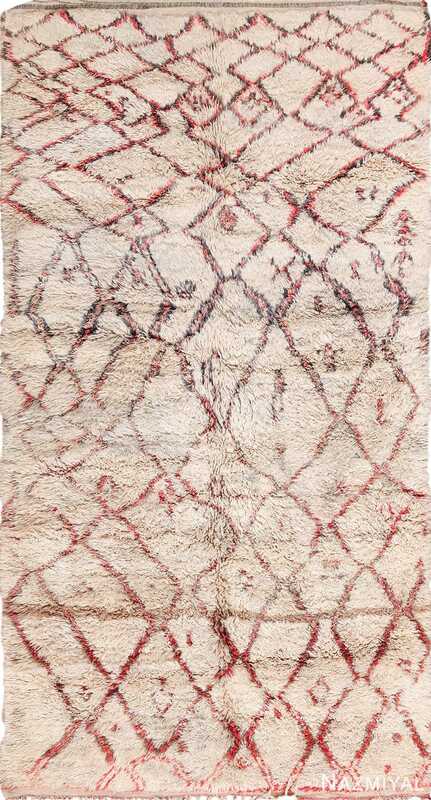 Reminiscent of Venetian tiles or the mosaics of Pompeii, this vintage Moroccan rug embodies an old-world elegance typified by formal geometric patterns.